The U.S. 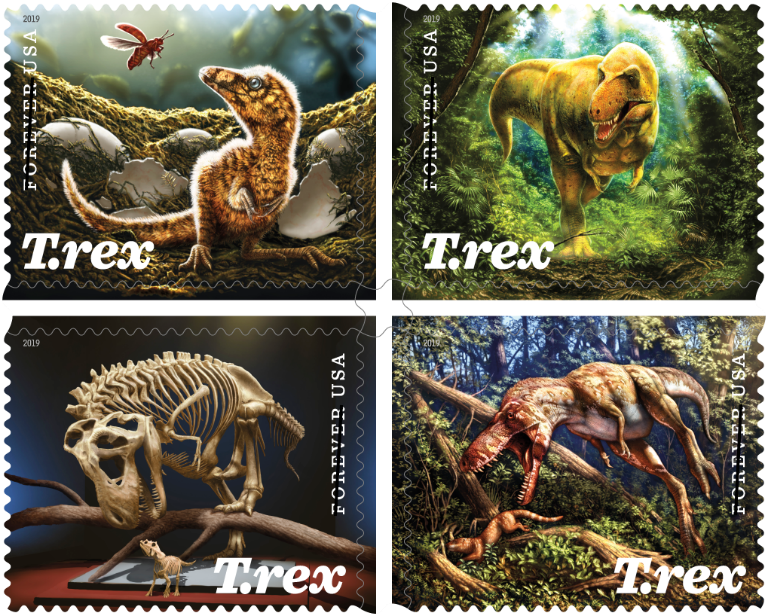 Postal Service recently announced three additional stamp subjects for 2019. More details, including dates and locations for the first-day-of-issue ceremonies, will be coming soon!! The Postal Service honors Sesame Street as one of the most influential and beloved children’s television shows. For the last 50 years, it has provided educational programming and entertainment for generations of children throughout the country and around the world. The stamp art features photographs of 16 Muppets from Sesame Street — Big Bird, Ernie, Bert, Cookie Monster, Rosita, The Count, Oscar the Grouch, Abby Cadabby, Herry Monster, Julia, Guy Smiley, Snuffleupagus, Elmo, Telly, Grover and Zoe. Art Director Derry Noyes designed the stamps. Halloween has long been a holiday that lets us delight in the things that scare us. With the approach of autumn, Spooky Silhouettes stamps will offer fun, frightful scenes that symbolize this annual celebration. Four stamps feature digital illustrations in which traditional Halloween motifs are rendered as black silhouettes in eerily back-lit windows. Artist Tyler Lang created the artwork. Art Director Greg Breeding designed the stamps. your WAM representative an email just to confirm that you have done so. Remember to set your clocks ahead on March 10! GRAND RAPIDS MI — Extreme weather conditions (snow, ice and high winds) continue to plague the Greater Michigan postal delivery area (Zip code 3 digit prefixes 486-491 and 493-499). Due to these extreme conditions, the possibility of non-deliveries due to impassible roads and untreated approaches to mailboxes exists. For more information about the areas impacted by this temporary suspension of service, please visit our website at: USPS Service Alerts. The CAPS Deadline is Soon! The USPS is retiring the Centralized Accounting Processing System (CAPS) system. So if you use a CAPS account to fund any of the services below, you need to switch over to the new Enterprise Payment System (EPS) by April 1st. · Address Quality Products (AEC, AECII and ACS™). WAM has already made the switch over to the EPS system and we would be happy to help you move your CAPS account. Just contact Scott Smith at ssmith@wamgr.com for step by step instructions or to get answers to your postal questions. Here when you need us. Have a run you need expedited? No job is too small or large. Our team can get it done! Your time is valuable - Let us work out the details for getting your product from here to there. Specializing in runs leaving the Greater Grand Rapids area, we are able to offer combined trips and reduced rates. WAM is a fulling licensed and fully insured trucking team, we are ready to take on any trip leaving Grand Rapids. Your shipment will stay on our truck from start to finish. We value your trust and confidence, that is why we ensure we will provide the smoothest ride for your product. Beginning February 1st, WAM will no longer be holding leftover stocks unless otherwise specified. We will contact you when the job is completed and if we do not hear back within 15 business days, we will recycle anything we have leftover for that job. WISHING EVERYONE A PROSPEROUS NEW YEAR - WE ARE CLOSED ON JANUARY 1 TO OBSERVE THE HOLIDAY WITH FRIENDS AND FAMILY. The USPS recommends the following deadlines to ensure your domestic mail reaches its recipient by December 25th. Be sure to thank your mail carrier for delivering your mail and packages this holiday season, they have been working long tiring hours to ensure your loved ones receive their mail in a timely manner.